Perhaps you worry as you head to a new venue: Does the room have the right video connection for my laptop? How many dongles do I really need to carry around to give my presentation? With so many devices and so many competing connection standards, can you be sure you’re prepared and have the correct adapter before you present? We support lots of presentations here at Talon Entertainment Audio Visual, and we have amassed a pretty impressive collection of video adapters. Here are a few suggestions for making sure you have the correct adapter for the job and some ideas for organizing your adapters. If your computer has both HDMI and VGA built in, you probably don’t need to carry any adapters, as you’ll pretty much find one or both at any venue you visit. 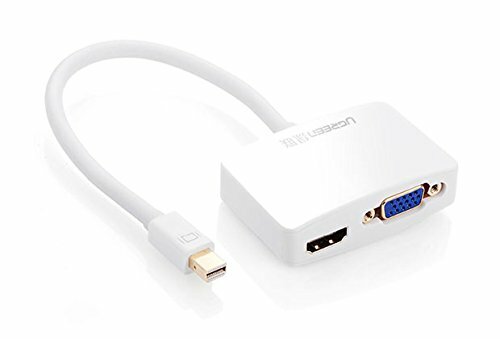 If your computer has only HDMI, you might consider adding an HDMI-to-VGA adapter to your laptop bag. I know it seems VGA is on its last legs, but we still encounter it a lot, particularly in smaller conference breakouts or older venues. We’ve had good luck with this one from Cable Matters, which has an audio output and the ability to get power over USB if your HDMI port doesn’t supply enough power. If you have Mini Display Port on your computer, you probably want to get adapters to both HDMI and VGA. Some manufacturers make combo adapters that have both HDMI and VGA out. Keep in mind that you can only use one of the outputs at a time (either VGA or HDMI but not both at once), but it still saves carrying two separate adapters - I like this one, and have carried it with my 13” Macbook Pro for a few years. If you have an ultrabook or tablet, you might have Mini HDMI or Micro HDMI. If you have those, make sure you carry an adapter - these are not super common and venues might not have the correct adapter on site. If you have a new laptop, you might have USB-C. Make sure when you buy an adapter that it supports your specific computer make and model. Different hardware makers implement the standard slightly differently (The same connector can be used for USB, Thunderbolt, and DisplayPort signals, so you have to make sure your computer and the adapter can communicate in the same language.) I’ve had good luck with this model for VGA and this model for HDMI. Where do I keep my adapters? At Talon AV, we have so many adapters that we keep them in a large clear tackle box, but likely you don’t need to carry that many on a daily basis. For a daily carry, I like to use zipper bank deposit bags like this. They are small enough to fit easily in a laptop bag or backpack, but easily hold several video adapters, USB Cables, and a phone charger or two. I carry one in my backpack with all my most-used accessories so that I’m always prepared. Do you have other ideas for using or storing video adapters? Let us know!